To get started on the road to reporting on business sustainability, address the reporting challenges of this beat by getting to know your subject. These resources here will help you get grounded in the basics. BSR: BSR develops sustainable business solutions with consulting, research, and collaborations with other sectors. The site offers a wealth of information on sustainability practices including publications, case studies and research. GreenBiz.com: This site is the go-to source for news on business and the environment. Triple Pundit: A diverse set of contributors writing about business sustainability with the focus on people, planet and profit. CleanTech Group: This site provides news and information on clean technology, including smart grid, energy efficiency, energy storage, smart water, and green transportations sectors. Grist: Environmental news and opinion site that offers a sideways glimpse of the day’s news topics. US Green Building Council: An organization dedicated to supporting the development of energy-saving building and design.AltEnergyStocks.com: Tom Konrad’s high-quality news and analysis for the alternative energy and clean tech sectors. MIT’s Sloan Management Review: This site covers ideas and practices in sustainability and innovation. Sustainable Business Forum: Thought leaders offer news and opinion on sustainable business, environmental stewardship, safety, and corporate social responsibility. Bloomberg New Energy Finance: This site offers data, news and analysis of the clean energy and carbon markets. @MarcGunther: March Gunther is a leading voice on sustainable business and the environment. @AbrahmL: Abrahn Lustgarten shares in-depth reporting on energy and natural gas news. @mims: Christopher Mims is a sustainability journalist. 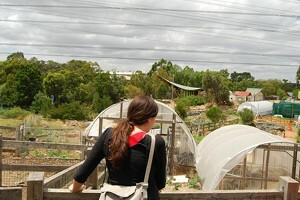 @KaraHurst: Kara is BSR’s voice on sustainability practices. Sustainable Brands: Four day gathering for brand and sustainability leaders from around the world. 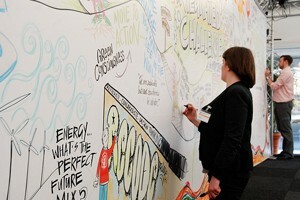 GreenBiz.com: One-day, regional events covering sustainability issues in business. Fortune’s Brainstorm Green: Leading conference on sustainability developments among Fortune 500 CEOs, senior government officials and environmental leaders. Videos from past conferences are free and available on demand. Ceres: Annual gathering for business leaders, investors, environmentalists, and policymakers that explores the sustainable economy.